Pleasant Valley Boulevard and 17th Street. 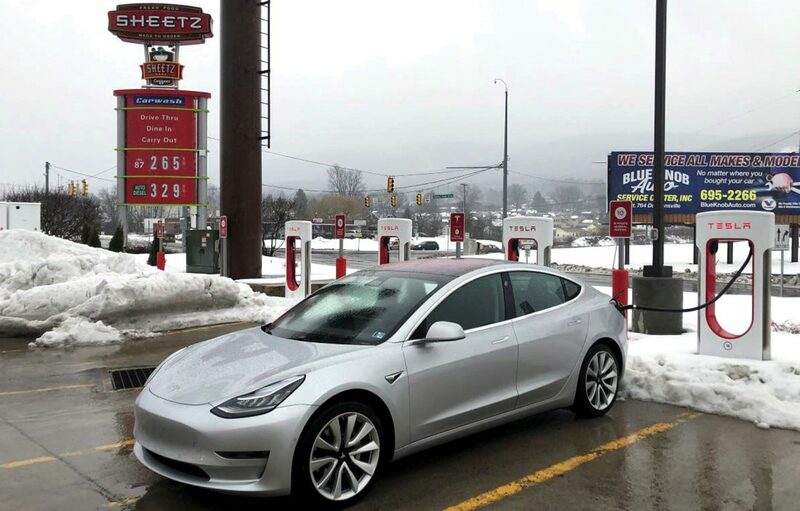 Sheetz currently has 21 store locations that offer Tesla Superchargers. Tesla officials are pleased to work with Sheetz. travel, said Melissa Rocha, Tesla spokeswoman. has different types of chargers at other locations. Bloomsburg, Pa., Wytheville, Va., and Rocky Mount, N.C.
361,307 in 2018, according to Inside EVs. 2017, and the Model 3 topped sales in 2018, according to Wikipedia. Local auto dealers are not selling many electric vehicles. vehicle charging stations installed in 2012.
many here,” said Matt Neumeyer, sales manager. Joel Confer Toyota sells the electric Prius Prime [pih].